A free hometown screening of "Thunder Road," the 2018 Grand Jury Prize Winner at SXSW and a Cannes Film Festival selection, will take place at the Rubenstein Arts Center. 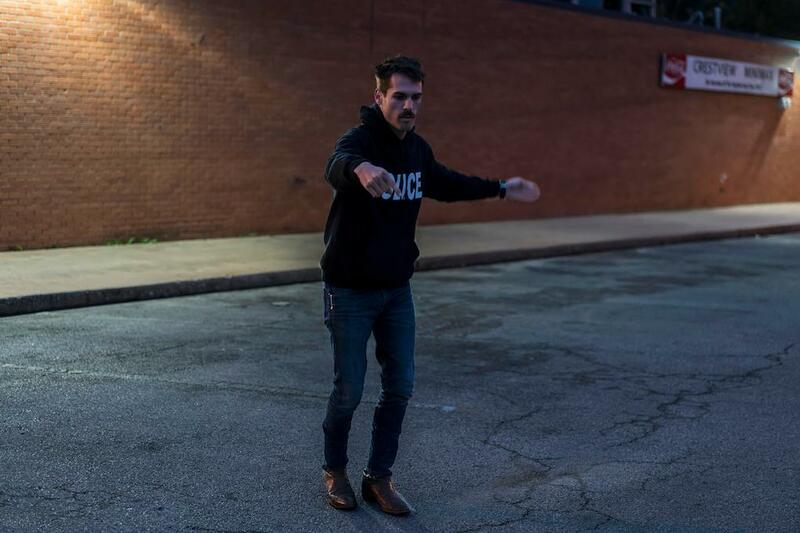 Ben Wiessner, one of the producers of "Thunder Road," lives in Durham and wanted to give a hometown screening of the film between the two festivals. Wiessner will introduce the film and take questions following the screening. He will be introduced by Alex Harris, one of the founders of the Center for Documentary Studies, who was invited by Wiessner to photograph on the set of "Thunder Road" in Austin, Texas, as part of Harris's project to photograph on narrative independent movie sets across the South for the High Museum in Atlanta. View Harris's photographs from the ongoing project on Instagram: @thesouthinanewlight. Pictured above is one of Harris's photographs from the set.